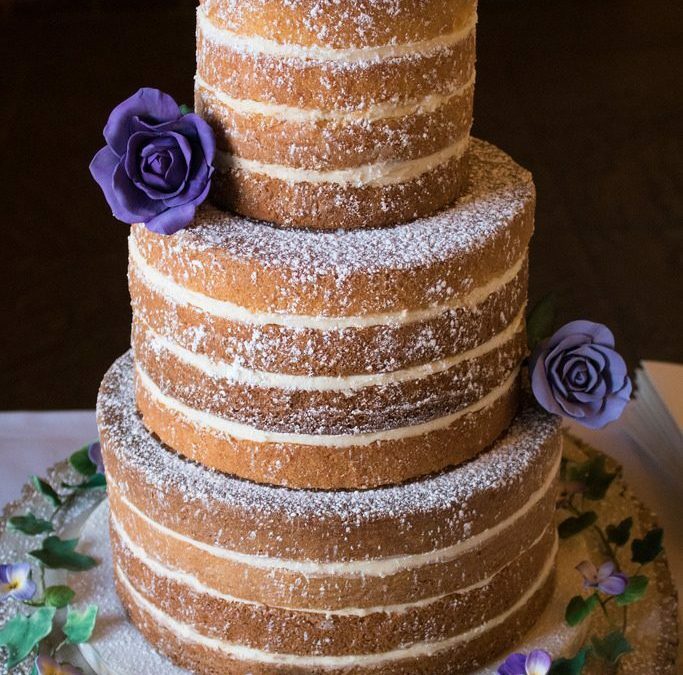 One of the newer trends for wedding cakes is the naked wedding cake. This means a cake that is not iced on the outside or may be decorated with a thin layer of icing that shows the cake underneath. It really pairs well with a shabby chic wedding or even a vintage wedding. It is really a beautiful cake and can be decorated with fresh fruit, flowers, ribbon, or any other items you can imagine! It is a different and fresh choice to use for your wedding or event! I always think it is a great idea to have something that stands out from other weddings. This can be a very different wedding gown, a different centerpiece from what is traditionally seen, a special dance performed by the wedding party or bride and groom or even the cake. This creates something to be remembered and talked about for years to come. Be the first to showcase a naked cake at your wedding and start the trend with your friends and family to follow!